Linda qualified in 1994 with BSc (Hons) Physiotherapy, has a PG Certificate in Sports Physiotherapy, and MSc in Manual Therapy. 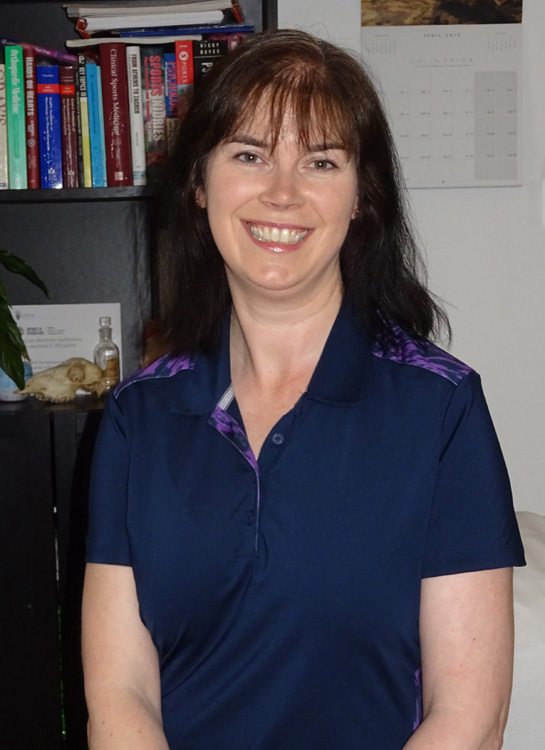 She has a special interest in the management of back, hip and pelvis problems and is a Member of the Manipulative Association of Chartered Physiotherapists (MMACP). Since 2000 she has worked and lectured in Sport and Exercise Medicine, and worked with the Scottish lacrosse team, cricket team, athletics team, rugby and Commonwealth games 2014 diving. She is particularly interested in the rehabilitation and prevention of running related injuries, with recent research papers published in this area. Helping people get back to physical activity and back to full fitness is something she is passionate about. In her spare time Linda enjoys open water swimming, and spending time with her husband and 2 daughters, where they regularly enjoy doing fun 5k and 10k runs together, hill-walking, camping, and travelling.